This month, we're featuring beautiful lighted floral arrangements for your tables. Orchids, autumn blossoms, willows and grasses will add punch to your rooms for entertaining. Come see these unusual lit flowers. We get a lot of requests to finish rooms. So often, after the major pieces have been chosen, we hear that the room still doesn't reflect what you are about. We'll help you find the "inner you" with our fabulous collection of accessories....all done with our one-of-a-kind pieces. Contact us about any pieces you might be searching for or even with any questions about decor that you might have. And don't forget our vintage pieces. 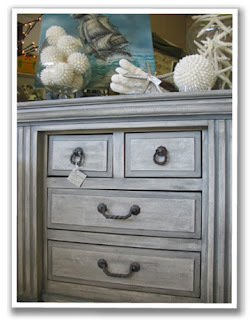 They'll anchor your room and bring a refined touch that you will love. We recently completed our "Finishing Touches" accessories service for a new Spa. The owners wanted to give their clients a relaxed and elegant atmosphere. By adding many of our natural elements, we were able to create the ambiance the owners envisioned. We can do the same for your business or home. Stop by to see the latest in home decor at 2928 State Street, Carlsbad, CA 92008 or call 760-729-8607. We look forward to meeting you!